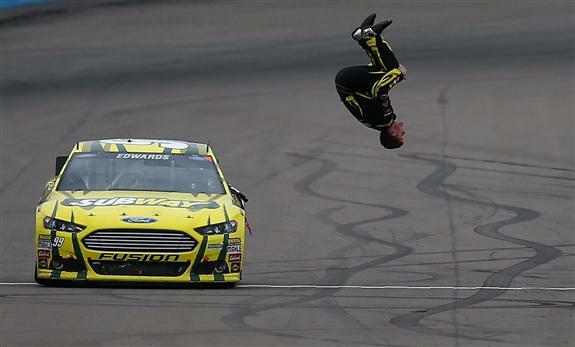 Home / Sprint Cup / Edwards is Back! Carl Edwards won for the first time in two years after a crazy Green-White-Checkered finish at Phoenix. Jimmie Johnson followed up his Daytona 500 win, with a second place finish and Denny Hamlin finished third. NASCAR Pole Position Phoenix cover girl Danica Patrick finished 39th after blowing a tire and crashing into the wall early in the race.